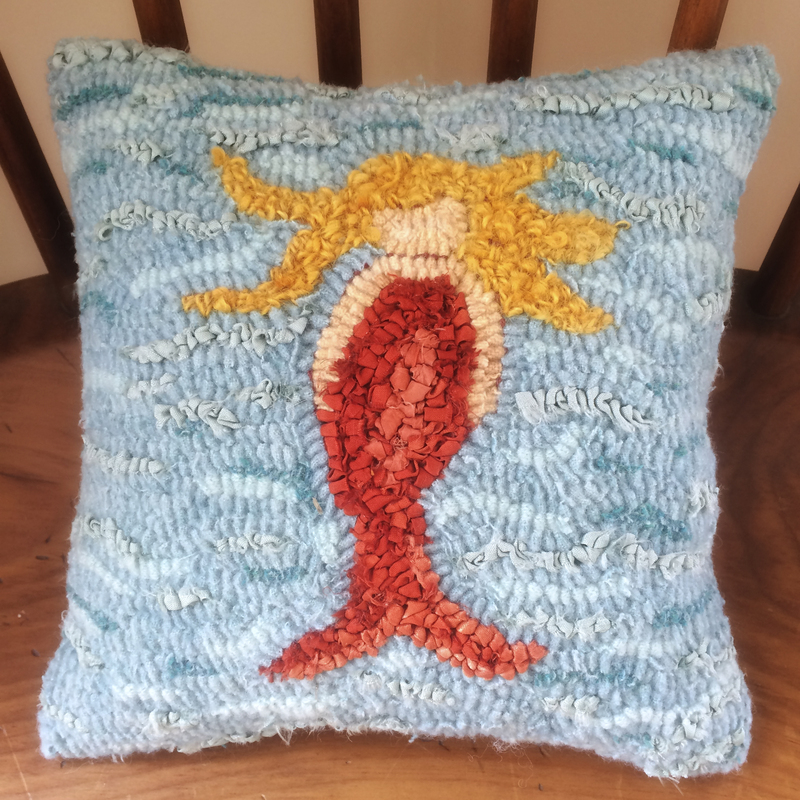 This sweet, petite mermaid pillow is big on charm. Aquatic fantasies will surely delight. Perfect for the cottage, the camp by the sea, or your little one’s bedroom. All ages will smile when the mythical graces their home. 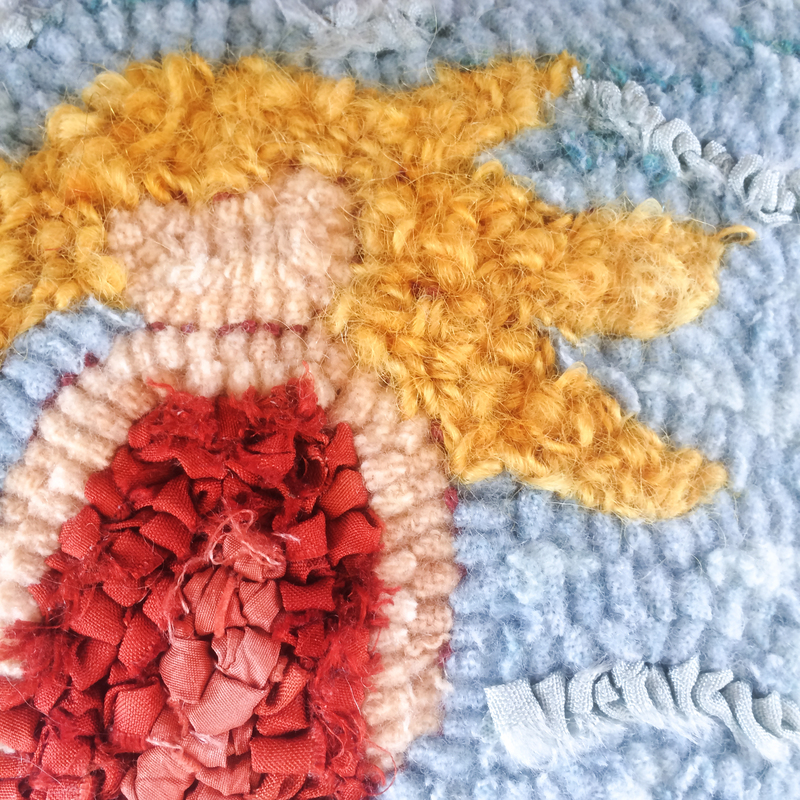 My original design, hooked on linen with a variety of wool, silk, yarn, linen, and lining fabric. 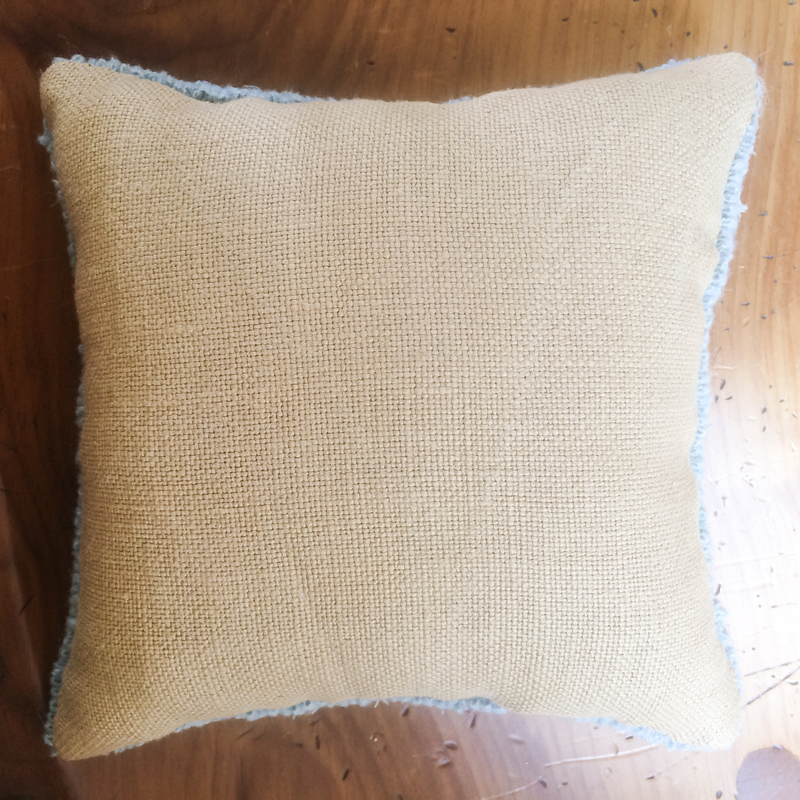 Backed with sand colored linen.